Centrus Energy Corp. recently provided a $1,000 corporate donation to the Pike County Welfare House in Waverly. Angie Duduit (right), public affairs manager at Centrus’ American Centrifuge Plant, presented the check to Elaine Dunham, director/treasurer. The Welfare House purchases and distributes new shoes, socks and underwear to needy school children in Pike County and provides used clothing and household goods to needy families in the county. In 2014, the Welfare House served 911 families. 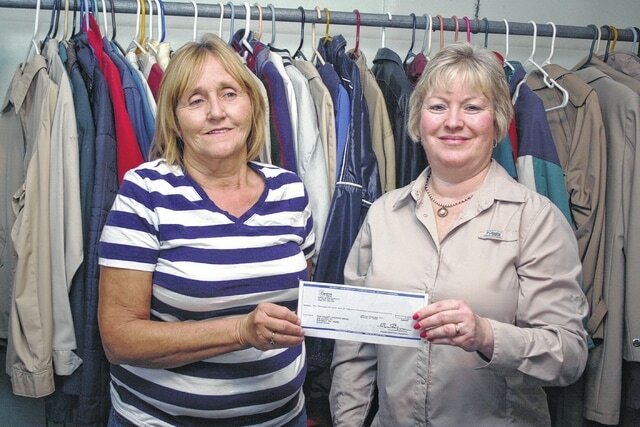 “We appreciate the work that Elaine and the Welfare House are doing to provide these necessary items to our local residents in need,” said Jim Lewis, general manager at the American Centrifuge Plant.